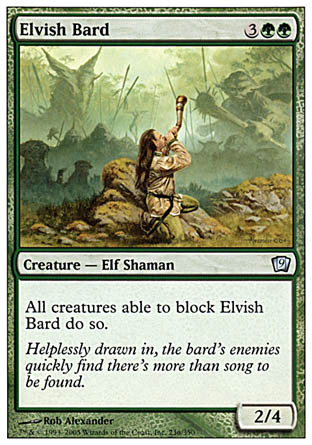 Elvish Bard by Rob Alexander from Magic: The Gathering, Ninth Edition (Renton, Washington: Wizards of the Coast, July 29, 2005). 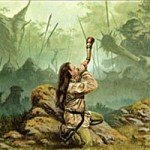 Know’st thou not there is but one theme for ever-enduring bards? The making of perfect soldiers. I above all promote brave soldiers. — Walt Whitman‘s poem “As I Ponder’d in Silence”. Published as an inscription in Leaves of Grass, (Boston, Massachusetts: Small, Maynard & Company, 1897), p. 9. First published (Brooklyn, New York: 1855). "As I ponder´d in silence"
Posted on behalf of Walt Whitman on Monday, May 31st, 2010 under Quotations.